Bring Your Home Alive Again. Each of us is our own microbiome, with gazillions of invisible allies that keep us safe and strong. Your home has a microbiome, too. Even "natural" products can disrupt it. 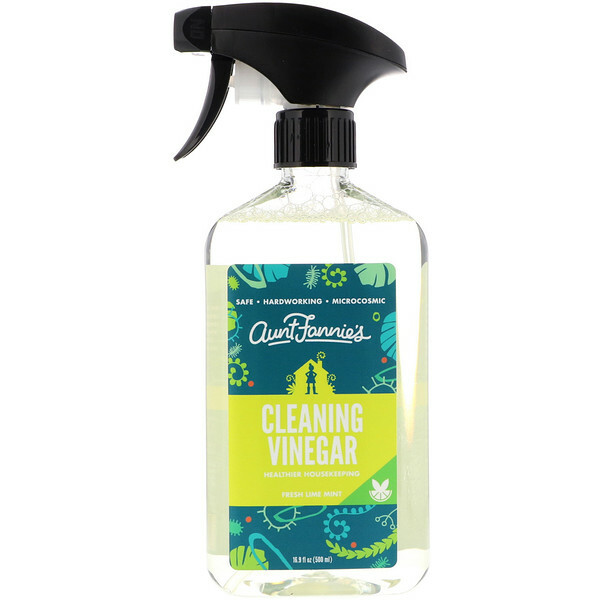 Aunt Fannie's keeps your home - and you - clean and healthy without getting rid of the good stuff. 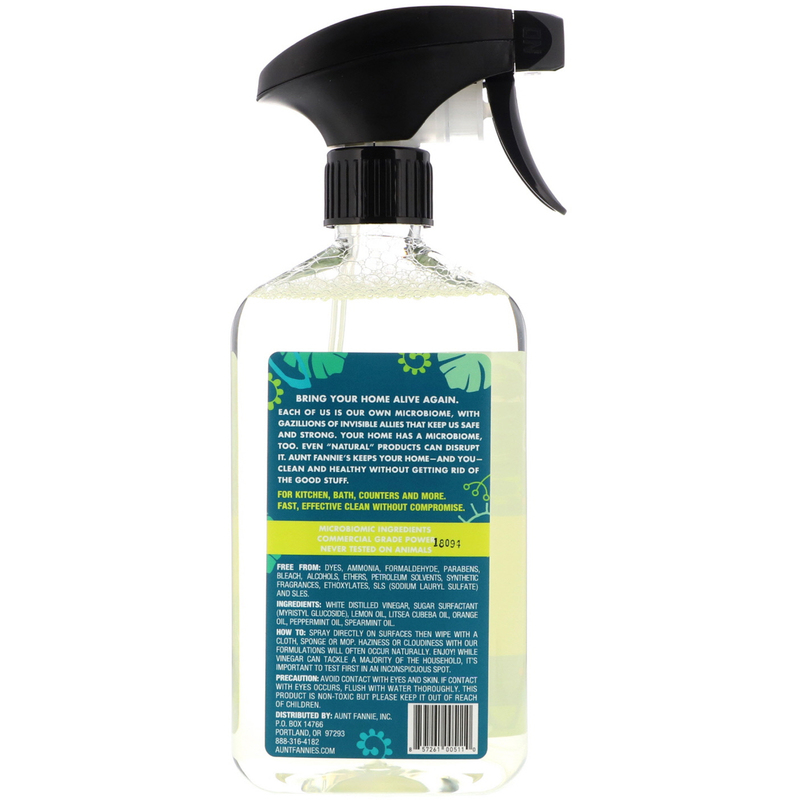 Spray directly on surfaces then wipe with a cloth, sponge or mop. haziness or cloudiness with our formulations will often occur naturally. Enjoy! While vinegar can tackle a majority of the household, it's important to test first in an inconspicuous spot. White distilled vinegar, sugar surfactant (myristyl glucoside), lemon oil, litsea cubeba oil, orange oil, peppermint oil, spearmint oil. 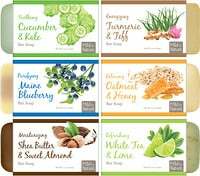 Free from: Dyes, ammonia, formaldehyde, parabens, bleach, alcohols, ethers, petroleum solvents, synthetic fragrances, ethoxylates, SLS (sodium lauryl sulfate) and SLES. Precaution: Avoid eye contact with eyes and skin. If contact with eyes occurs, flush with water thoroughly. This product is non-toxic but please keep it out of reach of children.